The unfolding story of changes at Boschendal Estate between Stellenbosch & Franschhoek has been intriguing ever since our first inkling of the changes early in 2015. What is mind-boggling is the energy and activity on the farm and the fact that it is changing literally hundreds of lives through innovation and opportunity. This is agri-activism at its best! We decided to tell most of the story through the eyes of some of the new people there. After just three years, the property is being more intensively farmed than ever before in its 330-year history. By 2017, 450,000 new fruit trees will have been planted. There is already a herd of over 700 Black Angus cattle, as well as chickens, pigs, sheep, goats and fish! Permanent employment on the farm has grown from 70 people to over 450, and will reach almost 700 by the end of 2017. The picking season is being increased from 4-5 months to 9-10 months – a game changer in the seasonality of agricultural employment. The Estate recently won an accommodation award for wine tourism and was one of the first farms to embrace wine tourism when it opened to the public in 1976. Boschendal is one of South Africa's oldest wine estates. 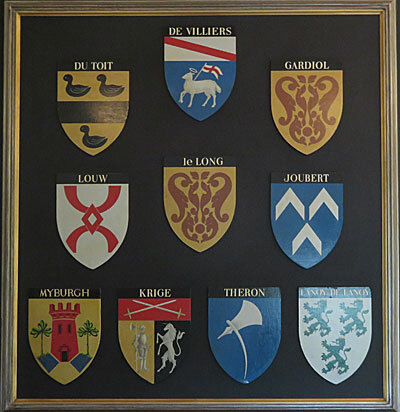 The first owner was Jean le Long, one of 200 Huguenots who fled religious persecution in France. He was granted land by the Dutch East India Company in 1688. In 1715 the farm was acquired by Abraham de Villiers and it stayed in the de Villiers family until 1879. In 1812 Paul de Villiers and his wife completed Boschendal manor house on the site of his father's home. Today’s Boschendal comprises a number of farms and historical homesteads. Rhone is the most noteworthy and was acquired by Jean Gardé in 1691 followed by Languedoc in 1700. They were bought in 1727 by Claudine Lombard. Married at the age of 17, she was left penniless with four children after her husband’s death. She recovered her losses and was a good farmer. The Rhone homestead was completed around 1760 although the gable is dated 1795. Followed by her daughter Magdelena, these two women farmed the property for almost a century. Women played an important role in the early Cape! The other farms are Bethlehem (Pierre Simond – the Minister accompanying the Huguenots in 1688), Nieuwedorp (the freed slave Angela of Bengal and her family, the Bassons, and on which Rhodes Cottage was later built) and Goede Hoop (also granted in 1688 but the current homestead dates to 1821). In the 1880s, the Cape Wine industry was nearly destroyed by the vine aphid Phylloxera. Cecil John Rhodes, the Cape Colony's Prime Minister, was determined to find an alternative to the grape industry. In 1896 Rhodes decided to invest in fruit farming after HEV (Harry) Pickstone, an Englishman with experience of growing fruit in California, advised him to buy old wine farms in the Groot Drakenstein, Wellington and Stellenbosch areas. Rhodes authorises purchases of some 29 farms from disillusioned and bankrupt farmers in these areas. 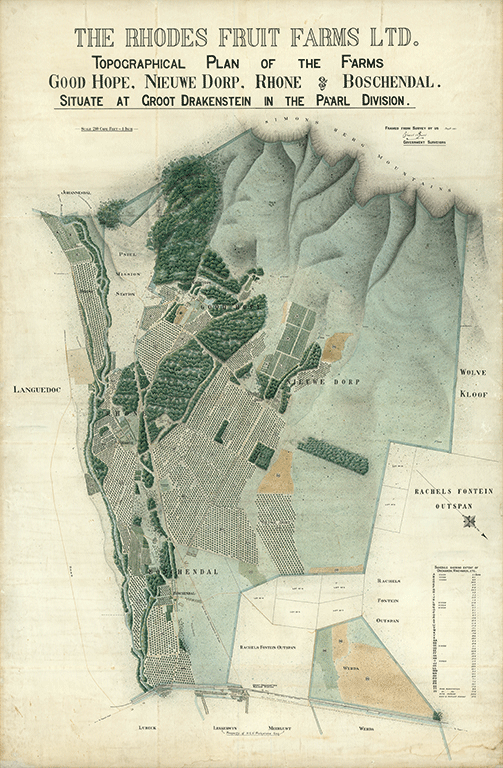 In March 1897 Rhodes secured the first of more than 20 farms, including Boschendal and Rhone. Twelve young managers were appointed, many of whom had been trained in California. Under Pickstone's tutelage they transformed the farms, introducing modern methods of pruning, grafting and irrigation, and training farm workers in the new skills. They planted 200,000 deciduous fruit trees – pears, apricots, plums and peaches. In 1898, all 29 farms owned by Rhodes are amalgamated under the name of Rhodes Fruit Farms. Pickstone is the founding general manager and lived at Lekkerwijn, which he bought from Rhodes in 1901. 1902 - 1937 Rhodes died the day after the inaugural meeting of Rhodes Fruit Farms Ltd, and Boschendal remained, as part of Rhodes Fruit Farms, part of De Beers. 1937 - 1940 It was bought by Sir Abe Bailey who retained it until his death. 1941 - 1968 Rhodes Fruit Farms was bought by a syndicate whose directors and their families spent many holidays at Rhodes Cottage. 1969 - 2003 Anglo American Corporation bought Rhodes Fruit Farms and changed the name to Anglo-American Farms (Amfarms). 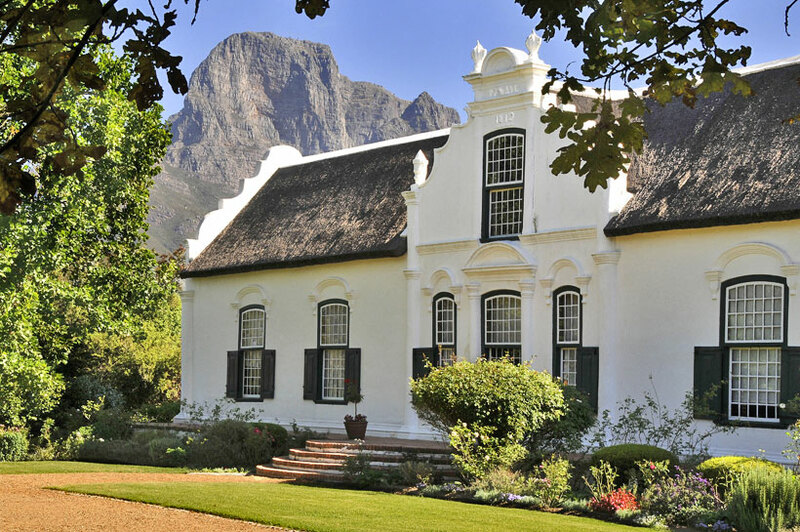 The Boschendal Werf complex was restored by the architect, Gawie Fagan, and opened to the public in 1976. It was declared a National Monument. Along with Groot Constantia, it was one of the first wine estates to make "wine tourism" a big deal. New planting commenced and a modern winery and new farmworker accommodation was built. When Anglo decided to divest its non-core businesses, they started a long process of consultation with farm workers who lived on the farm. This resulted in the development of Lanquedoc where farm workers became home owners. 2004 - 2012 A private consortium under the leadership of property developer Clive Venning acquired 70% of Boschendal and a broad-based empowerment group, chaired by Chris Nissen, acquired the remaining 30% for R323 million. And so Boschendal Ltd came into being. They announced that Gary Player would be Boschendal’s global ambassador and had purchased the first of 20 “Gentlemen’s Wine Estates” for a price in excess of R40 million. The rezoning of Boschendal into separate wine estates marked the first phase of new development. The consortium planned to redevelop the 2,240ha property at a cost of R3.8 billion, with a 300-unit retirement village, 400 farmyard-style cottages, a 50-room boutique hotel and and a commercial, retail and office centre. In August 2005, the Boschendal Ltd sold the wine business to Graham Beck's DGB but continued to manage the vineyards. The transaction included the Boschendal wine brand, winery, cellar, production facilities and the cellar-door wine tasting and sales centre on Boschendal farm. The consortium was more interested in property development than developing farming activities or its ongoing public heritage and hospitality attractions. When they didn't receive zoning approvals for the new development, monies received had to be refunded. It was tough times for the farming division – there was no new investment and when the account at the local co-op was suspended, the farm managers had to resort to selling firewood and using the cash to pay for essential goods. This contrasted to claims by the owners that "Boschendal will generate R100 million for investment in the local community projects such as nutrition and health, education and skills development, agricultural, heritage and environmental support. The consortium has donated 270 hectares of land to the community trust." At the end of 2012, ownership of Boschendal Ltd changed hands again. The majority shareholder in the new consortium is Canonbys, a group of South African expatriates. Other shareholders include Matsopath which owns 35% and where the largest investor is Investec Bank. In my first interview with Boschendal CEO, Rob Lundie, in March 2015, I prefaced the story with "The two best ‘good news’ stories from the Western Cape are probably the V&A Waterfront and Boschendal Wine Estate." Both had been moribund under their previous owners and both were experiencing a new lease on life. “Our dream is to make Boschendal a top agricultural farm; a sought-after producer of naturally-produced farm-to-table food and wine; a farm where our natural environment thrives; and where our staff and communities prosper. They are tackling their "custodianship of Boschendal... and the opportunity to drive change" with enormous energy and breadth of vision. There is no doubt that these glory years will surpass anything the farms have seen before; that visitor and guests will delight in sharing the rich environment and natural beauty, enjoying the best of healthy farm living; and staff will live their lives with new purpose. Rob has got the farm working again – managers and farmworkers are inspired and enthused. And Boschendal’s people have just cleaned up at this year’s Farmworker of the Year Awards – winning 12 awards in total. Innovation is the driving force. Rob drives the managers to do more and more research, and to experiment. And two things do filter down to staff – innovation and opportunity. 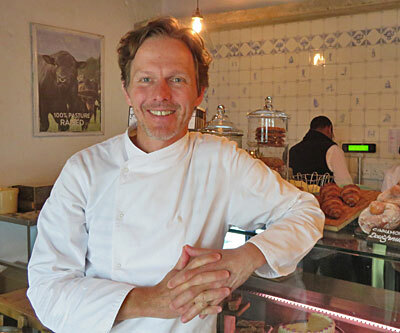 The culture at Boschendal is changing again, embracing hospitality as never before. Apart from being awarded Biodiversity Conservation Champion status by the WWF, diversity is at the core of the farm's economy - with beef, pigs, sheep, goats, chickens and game (in the foothills of the Drakenstein Mountain) and a planting season that’s being extended from 5 months to 9-10 months through the planting of new varieties. Boschendal is experimenting with what could become the first commercially-grown saffron in Africa – the world’s most expensive spice at over R300,000/kg! The spirit of Harry Pickstone lives on! Making the most of the property has also seen the redevelopment of existing buildings which now offer guest accomodation for over 90 people in quaint cottages – and which won the top spot in the Wine Tourism Awards for accommodation. The only new building on the farm to date is The Olive Press – a purpose-built function centre which hosts conferences, weddings and a variety of events. A new pack shed was planned jointly with a number of neighbouring farms – which would have included community and educational facilities for seasonal workers – but bureaucratic delays would have prevented it from being ready in time for the fruit trees currently being planted. So Boschendal will be building its own pack shed. Green energy is as important at Boschendal and a 300kW solar installation was the forerunner of bigger things to come. A 1MW solar installation will start soon and the environmental impact assessment of a hydroelectric scheme is underway. A new 400-unit eco-village is planned on "distressed land" at the intersection of the R45 and R310, catering for a wide range in home prices. It will be an ungated village and security is being addressed by careful urban design. The solutions have come through iteration, re-iteration and much internal debate and questioning by a diverse team of consultants. While the energy in the orchards and vineyards is a backdrop to everything, guests too can revel in their own energy and healthy living with the MTB trails, trail running, horse riding and hiking, or just chilling at one of the eating or wine tasting spots. It is a farm and a destination where there is lots to do and which one leaves inspired. Boschendal has enabled the establishment of new small businesses and is nurturing new entrepreneurs. It is also testing new business models which will allow other new businesses to thrive. "Is it natural; is it healthy?" That's a mantra at Boschendal and all the new businesses that are growing there have to meet that requirement. And so do the chickens and eggs. The Boschendal eggs are pasture-raised, far superior to free range or the usual supermarket eggs. After a career change and then learning the ropes working for Spier Estate, Rico Vergotine moved to Boschendal late in 2015 to start his first business: Integri-Eggs, with Boschendal providing seed funding and continuing to provide administrative support. 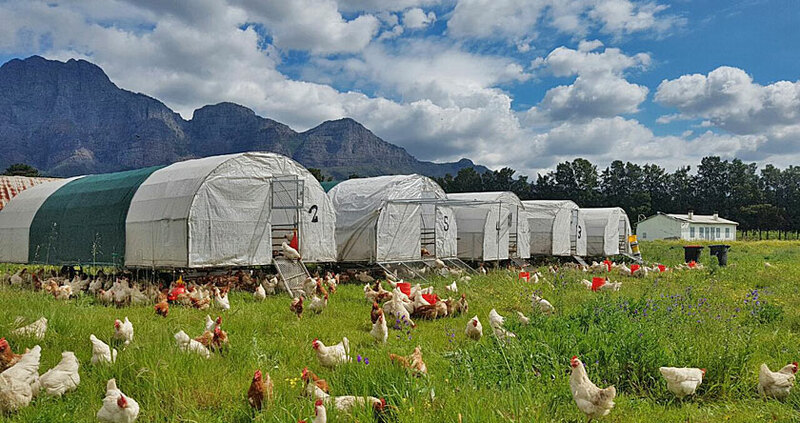 Integri-Eggs currently produces on average 1150 eggs a day and 450kg of chicken a week, and about 200kg of chicken manure per day that is directly deposited on Boschendal’s pastures sequestrating carbon so healthy soil keeps producing healthy grasses. 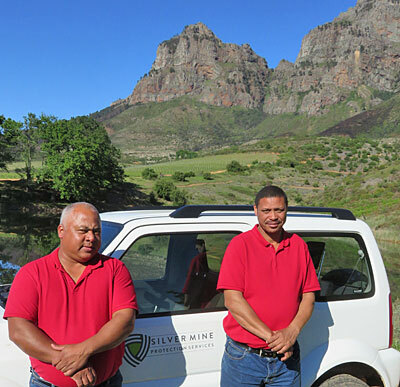 Ricardo Adams and Deon Lucas are locals and worked on Boschendal for Coin Security for many years. When Rob Lundie arrived as CEO, he heard that they were both going to leave so he called a meeting with them. Deon recalls Rob saying, "If you don't want to work for me, don't you want your own business?" That took them both by surprise. They had prepared a business plan to work for themselves a few years before that, and presented it to Chris Nissen... but heard nothing back. When Rob asked them if they had a name for their business, they told him about Silvermine Protection Services. In the 1700s, a charlatan (or maybe just a wishful gambler) led a lavish lifestyle while mining on the slopes of Simonsberg and Ricardo & Deon's endeavour is to stamp out all skullduggery! Their company - a partnership with Boschendal which provides admin services - now employs 29 people. It has managed outside contracts for the film industry for some time and has started providing services to other farms in the area. They're no novices - they have 19 and 22 years respectively of experience in the security industry and they know the wrongs and rights of the industry. Most petty crime is local, and they know the locals better than anyone else. They know the farm better than anyone else too... and who should be where. They use reason rather than heavy-handedness, and they're also committed to helping uplift the local community. I thought Clyde Daniels was a master carpenter until he pointed out that a carpenter works on construction projects, and that you also get cabinetmakers, machinists, framemakers, woodcarvers, turners, polishers... and many more. Clyde started out draughting plans for houses and became interested in wood carving after working with his uncle. Then he went to work for well-known Penn and Witelson in Johannesburg in 1974, where he was trained by Pietro Antonelli. 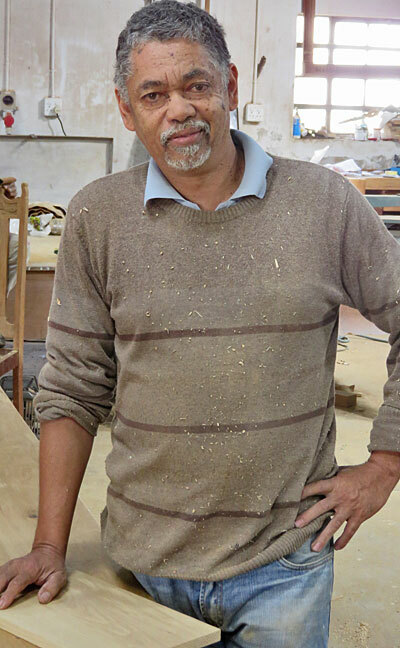 In 1984 he started at Modellers of Antiques, one of the most successful firms in Africa for period furniture. (They provided furniture for Parliament as well as residences for families like the Oppenheimers.) Here he was singled out by Attilio Reck for advanced artisan training. In 1991, Clyde started working for himself and, against all odds, since he wasn't able to raise finance, tackled a number of big jobs for Sun International and One&Only in SA and abroad. It was a battle which ended when he became ill in 2005. He moved to the Cape in 2009 and struggled to break into the local market. Bennie Botha of Cape Heritage Furniture started outsourcing work to him but Boschendal has become his major source of work. Boschendal has now provided Clyde with a spacious workshop and he is on the farm's payroll. Assistance is being provided for doing quotations and all admin so he can focus on the woodwork and building a team... to share his skills and train others in his craft. For most people, a visit to Boschendal is about food, wine and ambience... and chef Christiaan Campbell, with more than four kitchens and 40 catering staff on the farm now, provides a range of options. There's the Werf Restaurant for special occasions, the informal & fun Deli, Boschendal picnics alongside the Werf and at Rhone, The Olive Press for functions and weddings, and Boschendal and Rhone homesteads for special dinners. With authenticity and generosity at the heart of their hospitality, the chefs have had to rework the way dishes are conceived. Because they don't just order in what they feel like preparing, the dishes have to respond what's available and fresh on the farm every day. What's also unusual is that the same quality ingredients are served across all restaurants. This may be a showpiece garden right in front of The Werf restaurant, and one reason why many will visit Boschendal, but it is a serious enterprise producing 4½–5 tonnes of fresh produce a month. Megan McCarthy manages the garden. 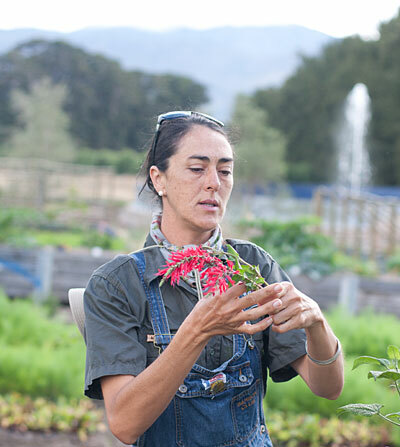 She is a horticulturist & landscaper by trade having practiced organic food production and permaculture since 2006. Production is based on simple effective permaculture & bio-dynamic processes. No GMO crops are utilised but rather organic seed and Heirloom/Heritage plant varieties, and the use of indigenous & endemic plant varieties is being revived. The Garden is a space of learning and lends itself to acting as a model to processes easily mimicked on a smaller, domestic level. Megan's regular courses have a very popular following. 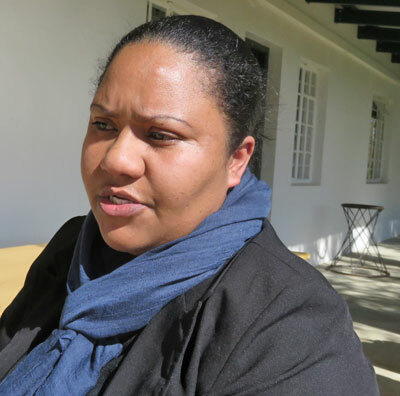 Colleen Cupido came to Boschendal from the Rustenburg Hydro, where she worked in several departments - scheduling spa & health treatments, F&B and accommodation. Her niche is accommodation, she says, and she loves her job. On Boschendal she handles the email and phone enquiries and enjoys often also getting to meet the guests when they do arrive. "Selling Orchard Cottages is easiest," she says, "because there is a range of accommodation from 1 to 4-bedroom units. These are great for families. The one-bedroomed Werf Cottages are our luxury cottages, and are included in our wedding packages. These are on the Werf and close to all the eating places. These are ideal if you just want to chill. "Trout Cottage is also family-friendly or for two couples. It's just alongside Rhodes Dam." 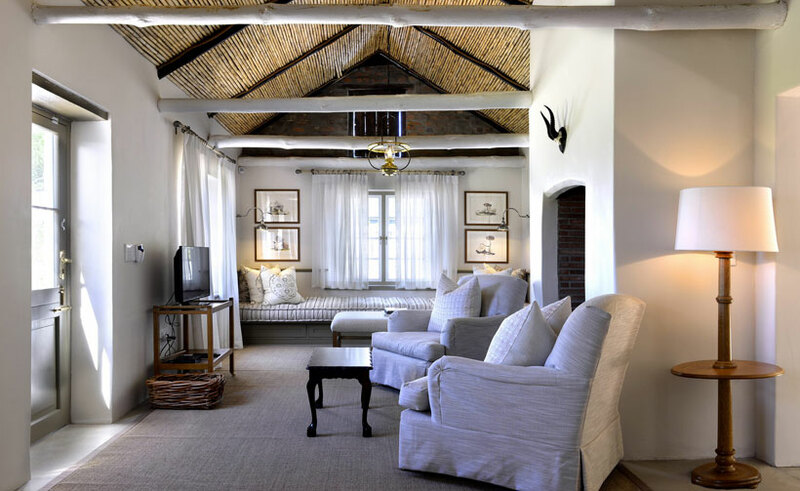 "I take a lot of care when there are enquiries about Rhodes Cottage, our heritage offering and also the most expensive. It was built for Rhodes, his secretary and butler and the accommodation was tailormade for them." Norma Kennedy was one the early arrivals when the changes were just starting. She arrived with her husband Kim, who followed landscaper Jan Blok down from Johannesburg. 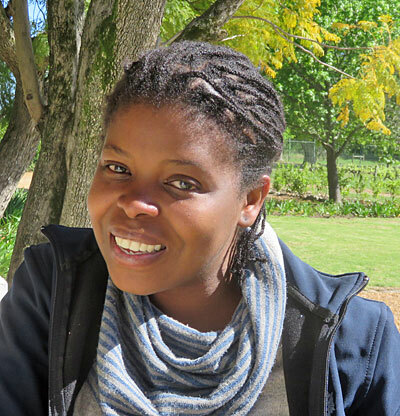 She had started studying law at Rhodes before moving to Johannesburg and starting a family. She's worked in various spots around the farm but was keen to work on Events with Aldu at The Olive Press, where she responds to queries, helps with site visits, and does whatever is necessary to make every event a success. The Olive Press is the largest function venue in the valley and can be either subdivided or extended when required. It is very popular for weddings but has hosted a range of other functions and corporate events. A carriage ride for the family, Shetland ponies and a first haltered horsback ride for small kids, or a more adventurous two-hour ride into the foothills of the Drakenstein mountain to view game, with breakfast at a lofty lookout point... Boschendal offers a range of experiences. If you prefer two wheels, there are a number of mountain bike trails catering for families and novices through to experienced and more adventureous aficianodos. Boschendal hosted part of the Cape Epic in 2016. And if you are a guest staying on the farm, there's no shortage of walks, hikes or trail running routes. It's a big farm that abuts two mountain ranges. There is also the option for a guided hike to the historic Silvermine. Jacques du Toit joined Boschendal in 2013 as the Fruit Manager when the farm had about 50ha of fruit trees. Ownership of the farm was changing and at his first meeting with Rob Lundie, the new CEO, he was asked if he could plant another 20ha pretty quickly. It was quite a challenge because the most he'd planted in one go before was 6ha. That 20ha kept escalating... and over 200ha of new fruit trees have now been planted. By 2017, 450,000 new trees will have been planted. From that first meeting, there was common purpose: never be satisfied with the norm in agricultural practices; leave a legacy for future generations; nurture employees to reach their full potential; and make mistakes and learn from them. Everybody participates in discussions and debates and everybody is challenged to come up with new ideas. "I have grown with the business and that has allowed my staff to grow," he says. 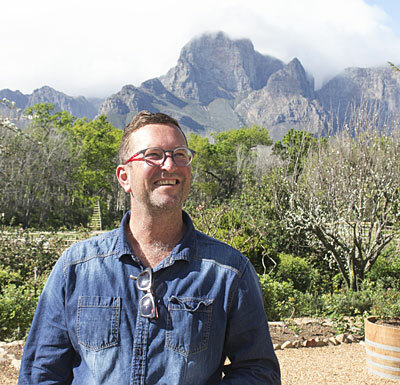 Boschendal is a pioneering farm again. It is the first fruit farm to do rest-breaking with organic products, the first to do co-branding on export boxes and the only farm to have sole rights for the new cherry plums. When he started, he had no staff and today there are 70 staff just for fruit operations, and a total of 110 for all farming operations. By the end of next year, with the new fruit trees and packshed, this figure will grow to 300. Growing staff's participation has been a priority. The workers' committee (chosen by the workers) meet every two months to discuss problems, with solutions, and present new ideas to management. All managers work with the best consultants in the industry, to build their knowledge. Staff amenities have been improved: Portable toilets are supplied and maintained by a contractor; 500 litre water carts were built so that clean water is always available; all workers get free uniforms; covered trailors provide transport on the farm and workers are now taken to and from work from two suburbs in covered trucks. Jacques does go beyond the norm. With more women being employed, he was concerned about them using ladders for pruning, so he developed a new trellis system – which has been nominated for an award by Marks & Spencers in the UK. Read about cows with happy lines! Michael Malgas and Isaac & Eben Daniels form the Vineyards A-team. 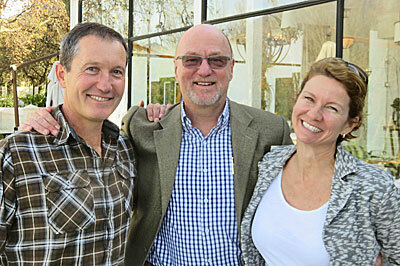 They are now in charge of Boschendal's 136.9ha of vineyards. 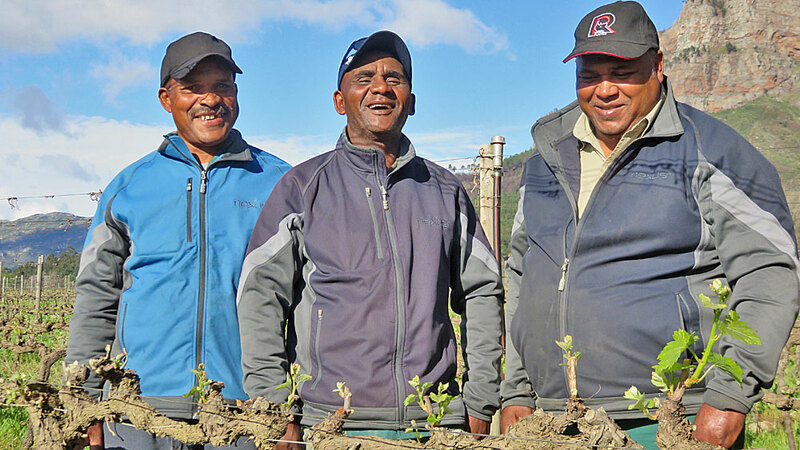 They've all been at Boschendal for between 16 and 22 years and the changes introduced in 2015 have also changed their lives. "Ek geniet om te werk" (I enjoy working) is the common theme and there's pride in seeing the old farm developing so rapidly. "The communication on the farm is good; Jacques has given us freedom - to think for ourselves and we're all walking the road together," says Michael Malgas. They make the point that Boschendal is providing young people with a future - there is no ceiling. Every hectare of fruit planted provides one extra job. This team has seen their production improve by 25%, along with savings and better quality. The vineyards are profitable for the first time in 5-10 years. They do their own research and they're focused on doing everything better. Spraying techniques have changed dramatically. While the landscaping around the Boschendal Werf is largely Colonial- or European-influenced, with the traditional rose garden beyond the manor house as an example, all new planting - especially on the other side of the farm - is primarily endemic or introduces agri-landscaping. And that's where Jan Blok comes in. Jan is a contractor responsible for all landscaping, and the overall "look and feel" of the farm. For the 10ha Rachelsfontein site, the planting is primarily endemic - and posed quite a challenge to source nearly half a million plants! Most of the new planting round Orchard Cottages is edible - an example of agri-landscaping. On the drive to Rhone, the grass verge has been lifted, a row of lemon trees planted and the new ground cover comprises herbs. The flowers around the trees on the Werf avenue are all edible, and you can buy packs of edible flowers at the Deli for your salads! One of Jan's greatest joys is the Werf Food Garden. "When I look at the drone video of the garden (see above) I can see the early plans on paper... it's wonderful!" he says. It's been hard work, sometimes working under floodlights at night, but Boschendal is coming together very, very quickly. 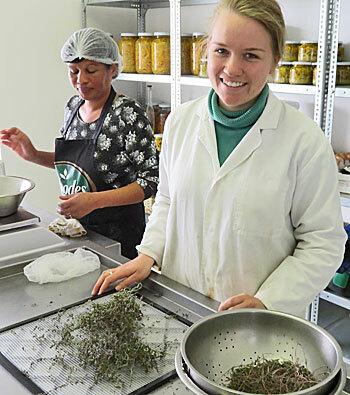 The latest addition to the Boschendal team is food technologist Claire Pauch, who graduated from the University of Stellenbosch recently where she completed her Master's under Lizette Joubert, who has 30 years experience in the Rooibos industry, with research on health opportunities for rooibos and honeybush. After six years of studying, she decided that she needed some business acumen and joined LaunchLab to learn how to start a business. Winning some seed funding in a competition, she set off to launch a business preparing healthy baked goods. Although she had a range of products after six months, she wasn't enjoying working on her own. And the next step would have required significant funding. She was disillusioned with the food industries - she is very focused on healthy foods - so finding the right job was a big challenge. And Google gave her the answer - it was the first job she spotted - "wine farm looking for a food technologist" - and her vision synched with Rob's immediately at their first meeting. Nothing on the farm is going to waste, so she's been conjuring up uses for windfall lemons. She's been redoing Boschendal's biscuit range. While developing a new range is going to take time, there's no doubt that when she also starts sharing her knowledge in workshops, they will be very popular. 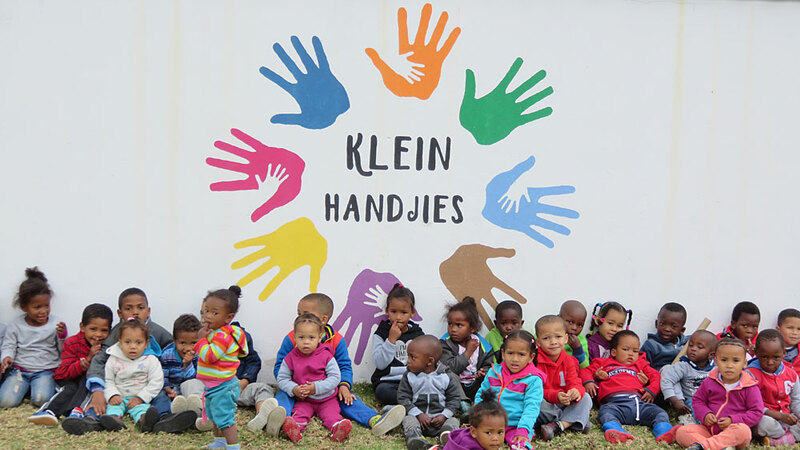 Lynette Carolissen is the principal of Klein Handjies, with six teachers and nearly 60 kids. The school moved from Solms-Delta a few months ago when it became a joint venture with that estate and was augmented with kids from the Boschendal community. A second building will be prepared soon to accommodate another 60 kids who need English-medium education. 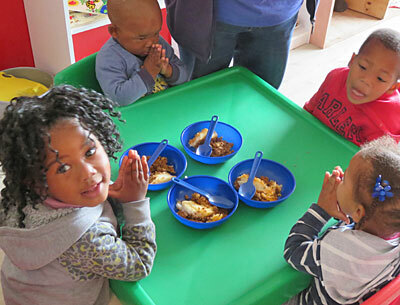 The school falls under Play-With-A-Purpose's ground-breaking child development programme developed in South Africa. It is unique because it is a development programme that merges a neuroscientific framework and behaviour based theories.